1.3343/HS6-5-2 high speed steel manufacturers and suppliers, supplied in round bar,square bar,flat bar,plate,sheet and wire. 1.3343/HS6-5-2 is a tungsten-molybdenum high speed steel with a well balanced composition suitable for a wide variety of applications. It can withstand higher temperatures without losing its temper and also display high hardness,toughness and abrasion resistance.Typical applications for 1.3343/HS6-5-2 are twist drills, reamers, broaching tools, taps, milling tools, metal saws. 1.1.3343/HS6-5-2 must be annealed after hot working and before re-hardening. 1.Preheat 1.3343/HS6-5-2 to 450-500°C .then up to 850-900°C. 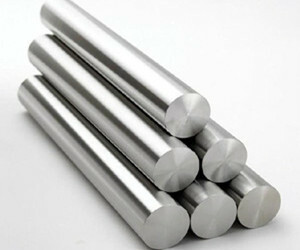 4.1.3343/HS6-5-2 high speed steel is suitable for vacuum hardening. 1.3343/HS6-5-2 high speed steel is supplied in accordance with our ISO 9001 : 2008 registration.